Politico notes that the President has sent to the Senate a number of Labor Department nominees including Scott Mugno to be Assistant Secretary for OSHA. Even though he’s retired, I guess he still wants his 15 minutes of fame. Which is about all he’s going to get in this administration. 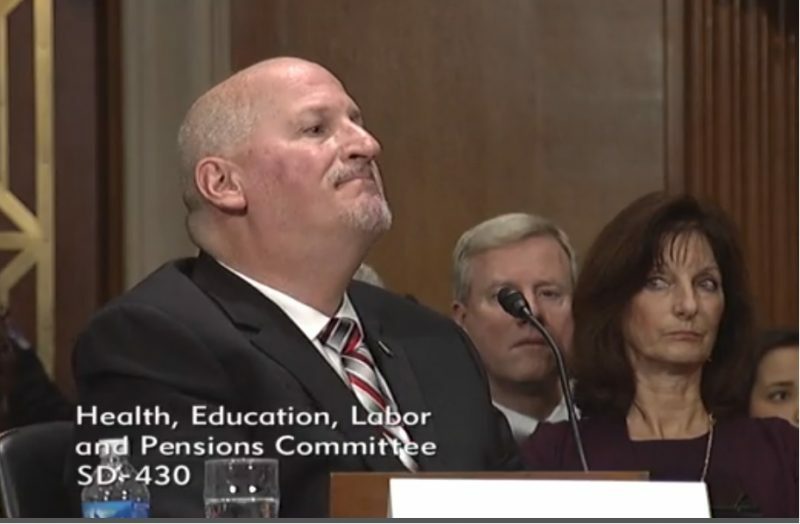 the nominee for DOL wage and hour administrator, Cheryl Marie Stanton; the nominee for commissioner of labor statistics (BLS chief), William Beach; the nominee for director of the Pension Benefit Guaranty Corporation, Gordon Hartogensis (a.k.a. Mitch McConnell’s brother-in-law); and the nominee for assistant secretary for the Employment and Training Administration, John Pallasch. This is Mugno’s third nomination to head the safety and health agency. The HELP committee will have to re-approve his nomination before it again goes to the floor. He already had a hearing in 2017, so it’s not likely they will repeat that exercise. It’s unclear what the fate of these nominations will be. Democrats had been holding up these nominees in response to Republican stonewalling on the re-confirmations of Mark Gaston Pearce (for being too pro-labor) to be reconfirmed for a seat on the National Labor Relations Board, and Chai Feldblum (for being too lesbian) to be reconfirmed for a seat on the Equal Employment Opportunity Commission. It is unclear whether Pearce will be renominated and Feldblum announced earlier this week that she won’t seek another renomination to the EEOC. With those two obstacles gone and the Republicans and Democrats getting along so well right now, what could possibly go wrong?